Slide design rules–what are yours? 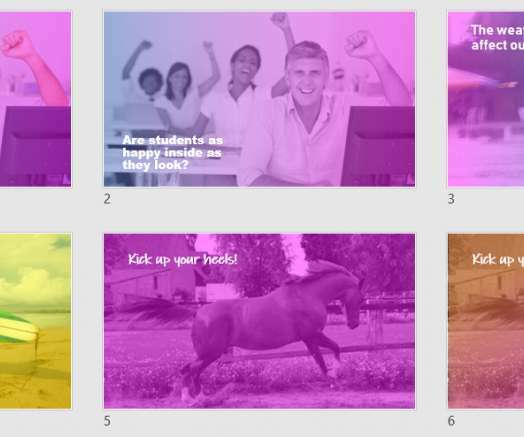 A simple way to create stunning slides is to layer an image, a shape, and text placeholders. 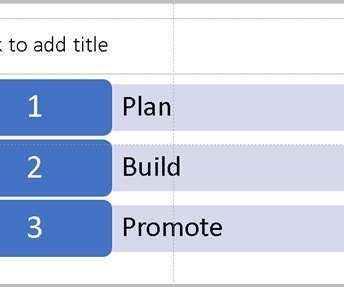 Here are 2 examples: Here are the steps to create these slides: 1. Enter your text. Use the Title and Content layout. 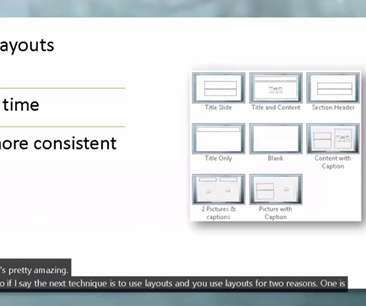 You can right-click any blank area and choose Layout>Title and Content. 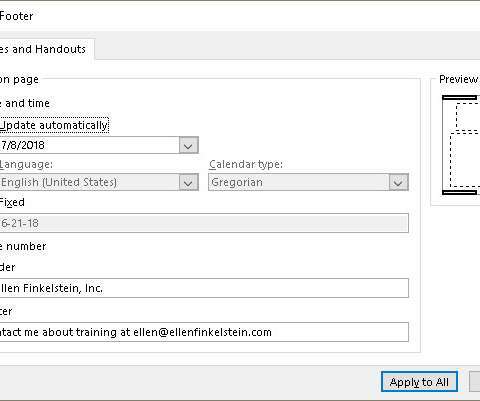 If you have Office 365 (the subscription version that is always updated), there’s a new feature coming out that is truly extraordinary! If you’re in the Office Insider program , you may have it already. Otherwise, you’ll get it when it’s rolled out to everyone with Office 365. 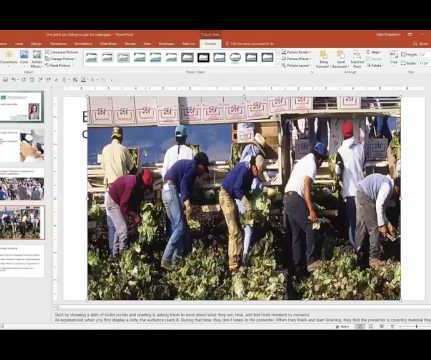 The Change Picture feature in PowerPoint is very powerful because it lets you substitute another picture but keep the most of formatting. You might want to change the picture because: You made a mistake and inserted the wrong picture. Audiences today want an interactive experience. As a presenter, you can: Ask them questions. Answer their questions. Organize small group exercises. But you can do more. 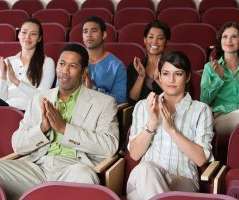 You can also integrate your audience into the presentation itself. 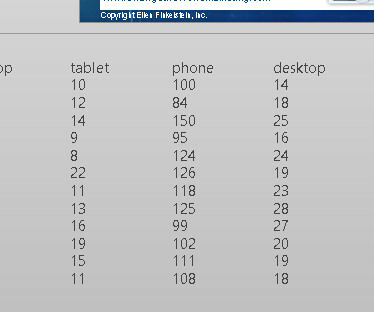 SmartArt and the new Designer feature in Office 365 are great for simple lists, but numbered lists are another story. Designer has a few options, but you can easily create a couple of templates for beautiful numbered lists and use them over and over. 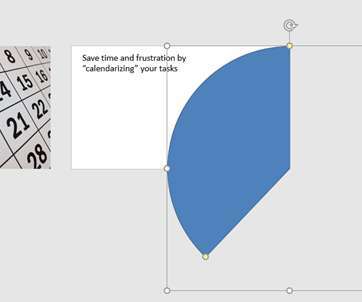 You can spend a lot of time formatting a shape or some text in PowerPoint and you certainly don’t want to have to repeat that process if it isn’t necessary. The good news is that PowerPoint has several techniques to copy formatting and animation. 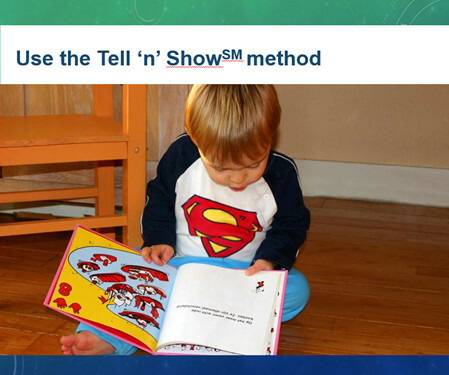 I recommend using the Tell ‘n’ Show SM method for your slides. That means putting a slide title on each slide that tells the point and adding an image, diagram, chart, etc. to show the point. You DON’T put everything you say on the slide. 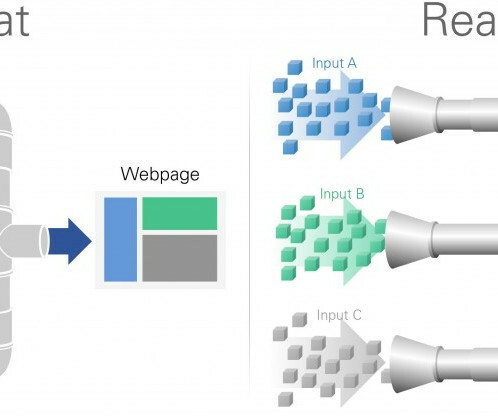 A common type of animation in videos is a very slow zoom in or out — or a pan — of an image. 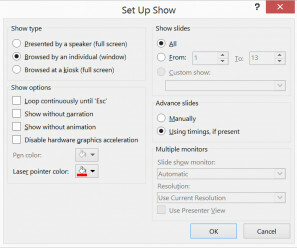 In this post, I’ll show you how to do this in PowerPoint. First, watch the video. Insert your image. Insert an image that covers your entire slide. 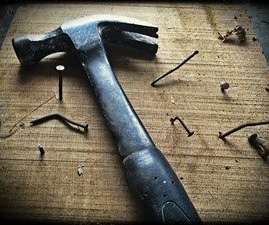 What’s the difference between telling, teaching, and training? And which should you be doing? 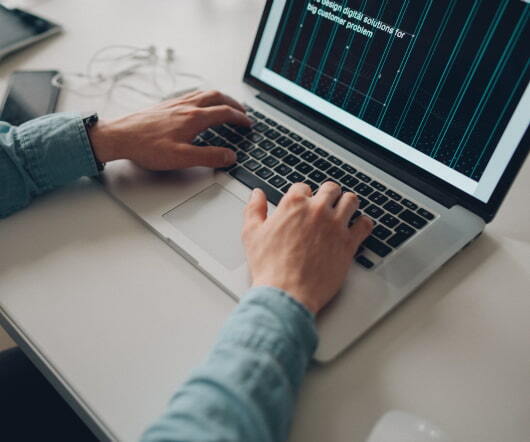 They really ARE different — although related — and which one you should do depends on your goals, your audience, and your situation. One way to create a modern look is to use BIG shapes. Recent design trends often use large shapes with lots of white space. You can see this on some websites. In this post, I show you 2 ways to use circles to create a bold, modern statement. Use a circle for a numbered list. This is a guest blog post by Kavita Paliwal. Kavita is Outreach Specialist of Content writer at Canva. When not glued to her laptop, she can be found making travel plans that rarely happen Connect with Kavita on Twitter and Linkedin. It’s time for me to talk about PowerPoint 2016, since it’s been out for a few weeks now. Here’s a screenshot of it. So, what’s new? Actually, nothing major, in my opinion. but here’s a rundown. You might find something that’s just what you need. 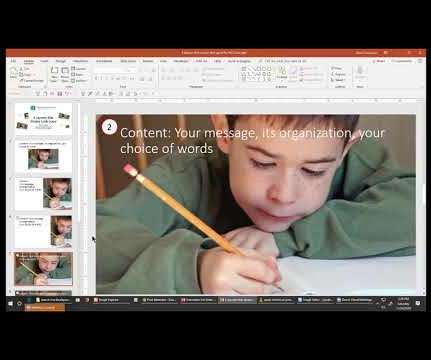 PowerPoint Mix is a new PowerPoint add-on by Microsoft, now in beta (not finalized). 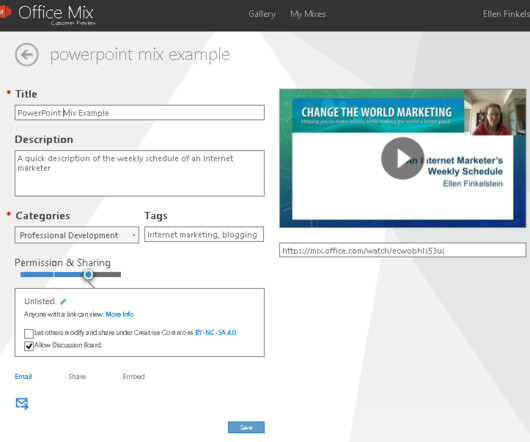 What is PowerPoint Mix? 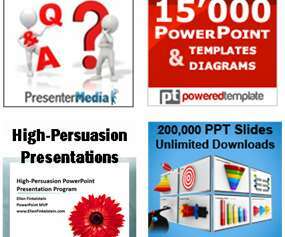 PowerPoint Mix is a PowerPoint-based tool for creating interactive online lessons. The basic process is simple: You create slides and can record audio and video. 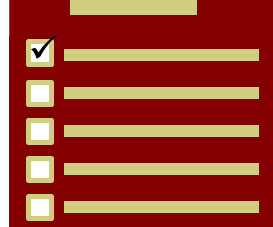 You can add quizzes. 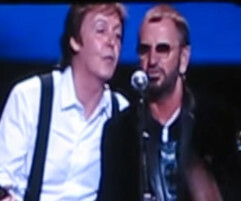 This is a guest post by Mike Parkinson. Mike is an internationally recognized visual communication and presentation expert, trainer, and award-winning author. 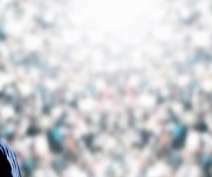 Over the last 22 years, he created thousands of presentations that results in improved success rates for his clients. 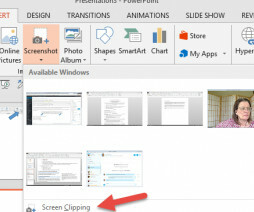 You can’t make an image itself transparent in PowerPoint, but there’s a workaround. 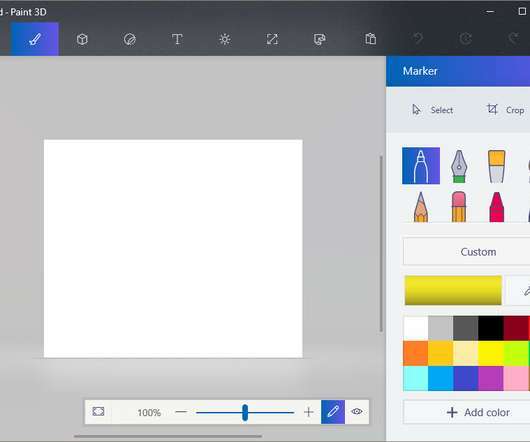 Why would you want to make an image transparent? For a soft look. To overlap images. To let text show through. You might have other reasons — if so leave a comment! It’s a matter of choice. 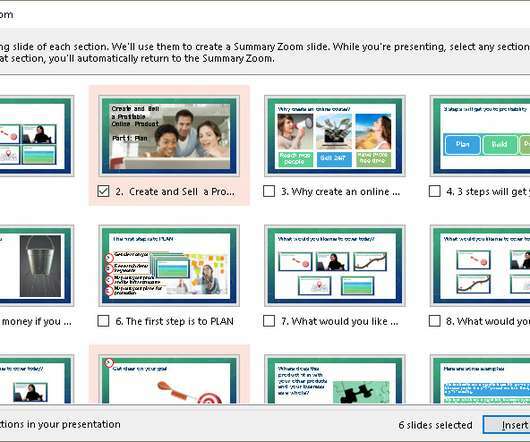 Did you know that you can create a quiz in PowerPoint? 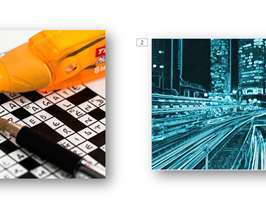 You can create a simple quiz in PowerPoint using just hyperlinks. It’s simple because it doesn’t require any programming and you can’t grade it. Students take the quiz in Slide Show view. 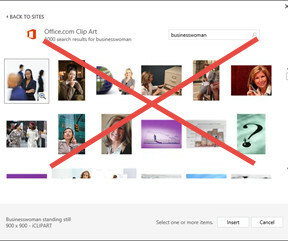 According to the Microsoft Office blog , the Office Clip Art gallery is going away. I’m very upset by this, because I use its photos daily. The purpose of your presentation is to create change. Maybe you want your audience to take some action or at least think differently about your topic. A prerequisite is that they understand and remember what you say. 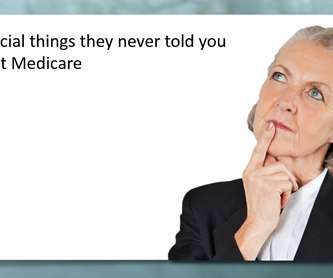 I recently made over some webinar slides for a client and I can honestly say that the slides were the most messed up of any I’d ever seen. It wasn’t the content; it was the way the slides were created. 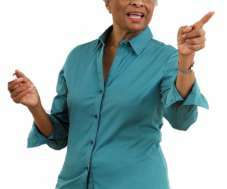 Now, my client was a PowerPoint newbie, so it wasn’t really her fault. I rarely use shapes with outlines. 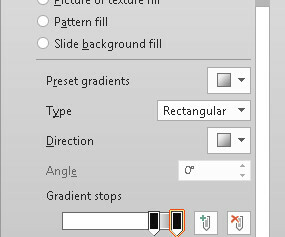 So every time I insert a shape, I click the Format tab, choose Shape Outline, then No Outline. Wait, why am I doing that? I can customize my themes! 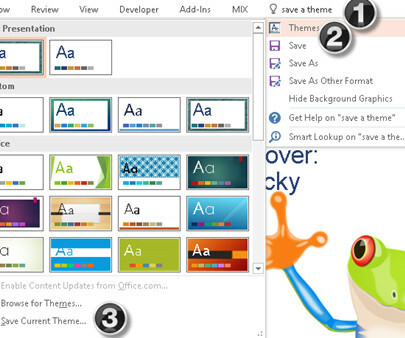 I often use the default theme to create graphics. 3D is here! 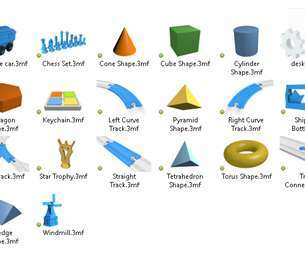 Yes, you can now insert certain types of 3D models into PowerPoint, rotate them and even animate them. 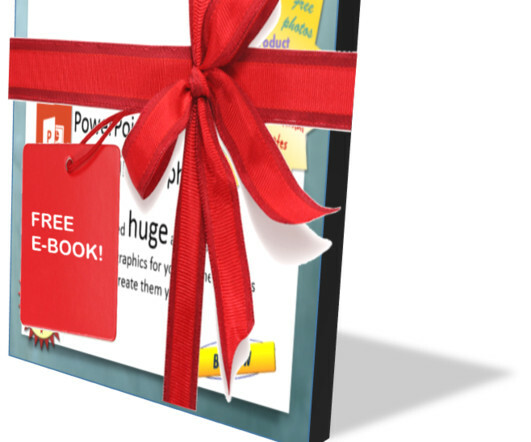 At the end, I’ll show you a video of an animated 3D model in PowerPoint. 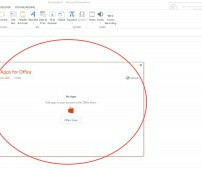 To be clear, to get this new feature, you have to have Office 365, which is the subscription version. Not all presentations can be full of photos. Sometimes, you need to present data — lots of it. While I do think that presenters sometimes dump more than necessary on their audience, consider this scenario. The setting. You’re a market research associate. Slide design can be very subjective but there are some rules that are objective. These rules ensure that your slide is easy to understand and remember. When you use these rules, you can create clear slides that no one will struggle to comprehend. To get the best results from a presentation, you need to think about the “why.” ” Why are you doing the presentation? If someone else assigned it to you, why? What is the goal of the presentation? There are lots of possible goals. 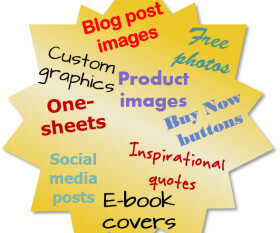 This is a guest post from Brenda Bence , who is a corporate branding and personal branding expert. She wrote this as a tip for Speaker Net News subscribers and gave me permission to reprint it. You can read more about her at www.BrendaBence.com. Iconography is hot in design now. Here is an example from one of my websites. 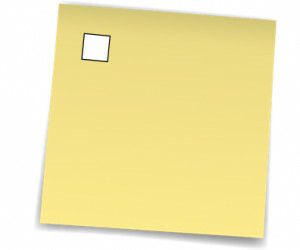 The above icons are colorful and have some depth to them, but you often see icons that are flat and monochrome. Here’s an example from urbangap.com/urban12/dicembre. I often see icons that are all gray. It’s not only sales people who need to persuade. Perhaps you need to get approval for a proposal. 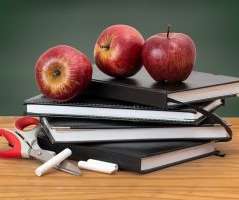 Recently, a subscriber used principles I taught to get approval from an State Legislature committee for an important proposal that will help children in that state. Are you a font freak? Do you just LOVE interesting fonts? I must admit that I’m a font idiot who can hardly tell the difference between Arial, Tahoma and Verdana, unless they’re right next to each other. Even then, I won’t know which is which. A vignette effect on a photo typically places a dark, semi-transparent border around it. There are other possible variations, such as a light border, but dark is more common. Designers use this effect to make the center of the image stand out. Here you see a photo with and without a vignette. .
Do you sometimes need to access other applications while you’re presenting? 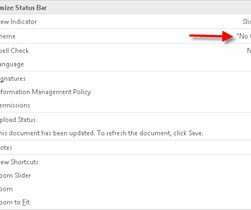 Here are some scenarios: You’re doing a webinar and need to access the webinar interface. 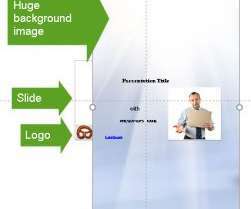 You want to show a web page or application at some point in your presentation. 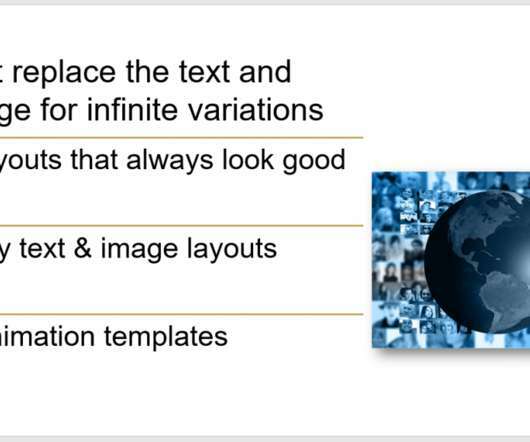 I often create a slide that talks about x number of items: 6 tips for stunning slides. 10 ways to organize your time. 5 steps to a slide makeover. 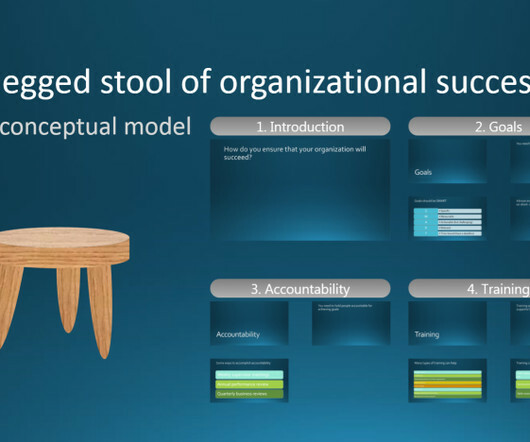 When I think how to visualize the concept of such a slide, I often (perhaps lamely) come up with a checklist. 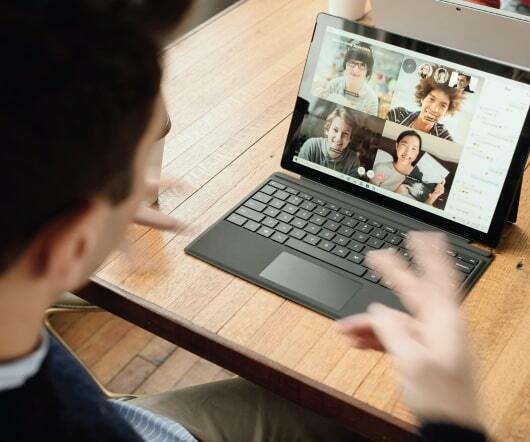 Did you know that Microsoft has a product that is similar to Prezi — sort of? It’s more structured, but still lets you give an overview of the entire presentation and then zoom into specific slides. ( I wrote about Prezi here. The 8th annual Outstanding Presentations Workshop is free this year. We have an expert group of 6 speakers. This online workshop has been a major event in the presentation world for a long time, with past speakers like Nancy Duarte, Cliff Atkinson, and many more. Once you create a great slide layout for a presentation, you can use that slide over and over by changing the text and the image. This technique will save you an amazing amount of time and make your workflow easier. 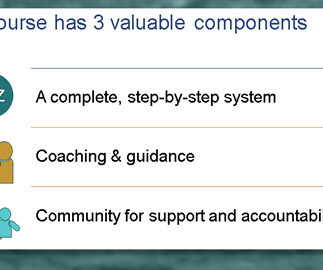 For example, this slide is simple but useful for many situations.